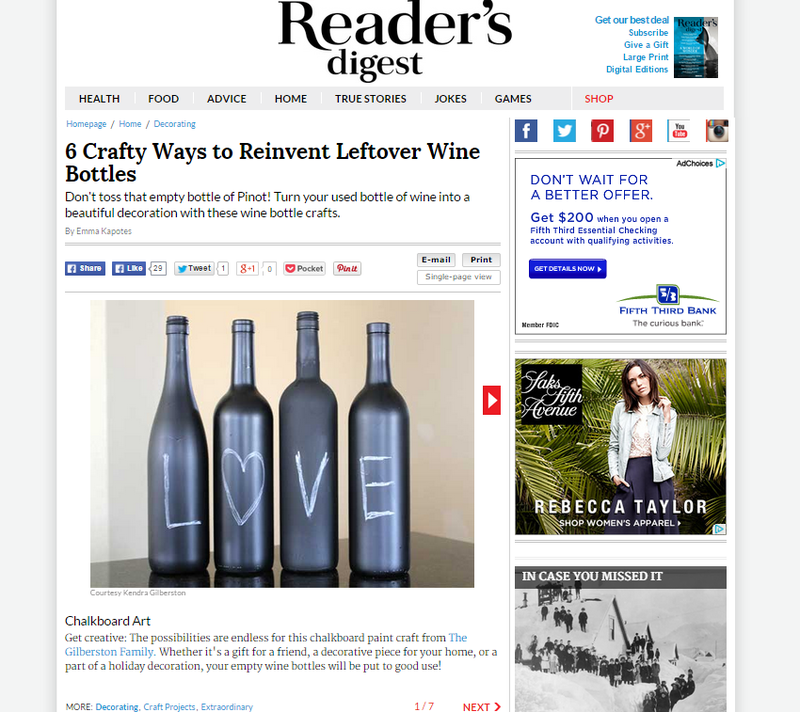 I am so so so excited to be included in the Reader’s Digest home & decorating section for my chalkboard wine bottles! Check out their slideshow of 6 Crafty Ways to Reinvent Leftover Wine Bottles! This article popped up in a mommy group this week and it was pretty eye opening. I will admit we regularly have goldfish crackers in our house, but now I am going to make a point to buy the Annie’s brand crackers now. I am happy to see that Chipotle is listed as a good alternative since that is pretty much the only fast food establishment we frequent with the kids. On Wednesday, a group of eight ladies got together for Craft Night 2.0 at Sally’s house. This was our second craft night this year (hence the 2.0). 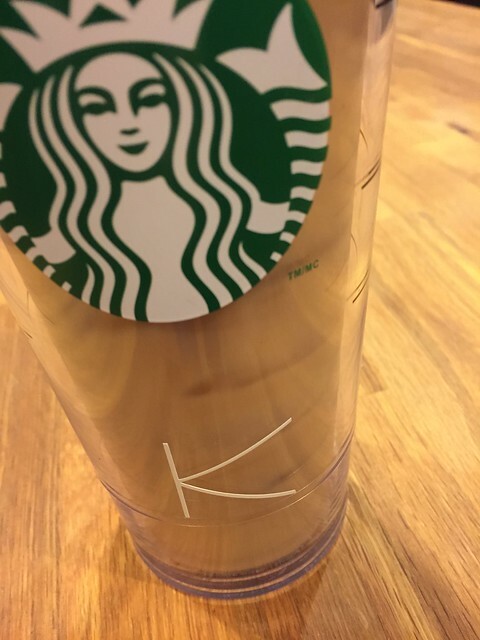 I brought over my Cricut machine and we all monogrammed our own tumbler. It was a fun craft, but it was more fun chatting with these ladies. We are all somehow intertwined through our various circles – friends, coworkers, church, mommy groups, etc. so it was great meeting new faces and catching up with old friends. Not to mention, Sally made some killer brownies. It’s nice to be able to get out for some good, adult conversation on a random Wednesday night. My mom got these boots for Kenley for Christmas and I get compliments on them ALL the time! We love them. Kenley chooses to wear them almost everyday and they are still in great condition. I have not had the same luck with Old Navy boots, so I will be shopping the Target selection from now on. Here is another great article… grab a tissue moms. love the chalkboard wine bottle shout out! you’re practically famous. i loved when you posted those, and a good reminder for me that I want to make them!